The College of Veterinary Medicine has added an elective clinical rotation through a new educational partnership with the Greater Birmingham Humane Society and Dr. Brandon Cash, owner of Alabama Shelter Veterinarians, P.C. Third-year veterinary students can choose to spend a two-week rotation providing medical services under the supervision of veterinarians and staff of the Alabama Shelter Veterinarians, P.C., which provides veterinary services for the Greater Birmingham Humane Society. Kelly Gersch, Kirsten Struthers and Kristyn Carr. The first group of students, members of the class of 2016, spent two weeks in April in Birmingham, gaining hands-on experience and learning about shelter medicine. This partnership expands the current educational clinical rotations available to College of Veterinary Medicine students during their third and fourth years of the professional curriculum. 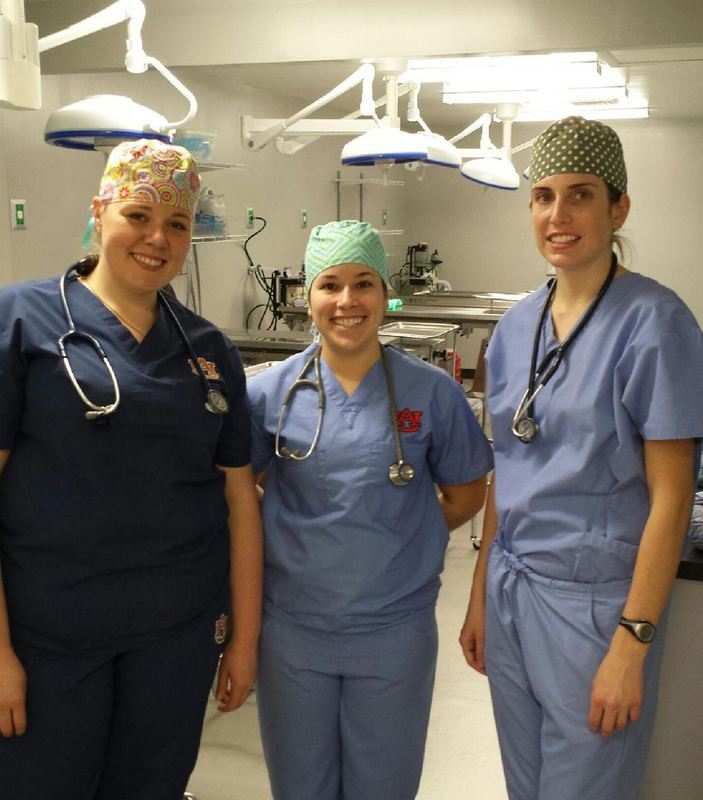 Students are provided housing by GBHS while on clinical rotation. Currently, student veterinarians spend two-week rotations in 16 required rotations on campus in the Wilford and Kate Bailey Small Animal Teaching Hospital, the Auburn University Veterinary Clinic and the J.T. Vaughan Large Animal Teaching Hospital. In addition to these required rotations, the college offers 24 two-week rotation electives, including this new opportunity with the Greater Birmingham Humane Society and Alabama Shelter Veterinarians. Dr. Dan Givens, associate dean for Academic Affairs at the College of Veterinary Medicine, said, “a strategic priority of our professional curriculum is to prepare students for a breadth of careers in veterinary medicine. This emerging partnership allows students additional hands-on experience in preventative medicine, behavior evaluation, population medicine and spay/neuter procedures for homeless pets. Givens said for students interested in small animal shelter medicine, this collaboration “allows students to assess their affinity and aptitude for that practice environment in an optimal method. “While students may have worked in a similar environment prior to entering our college, they return to that environment as an emerging professional tasked with making decisions regarding health care and treatment options under the direct supervision of an on-site veterinarian,” he said. “Some students find that this is a practice environment in which they can thrive and flourish while others seek divergent career paths. “The public is relying on the veterinary profession to help solve the enormous problem of homeless dogs and cats, Dean Johnson added. 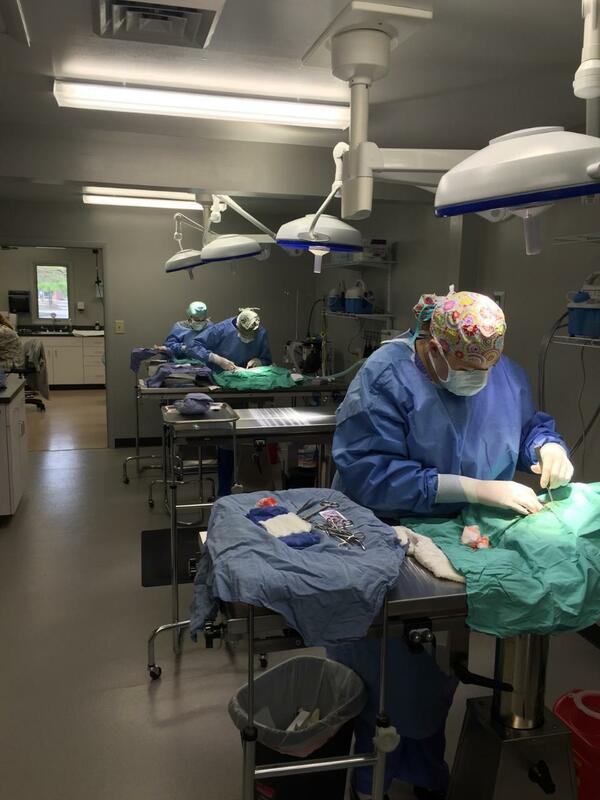 “To respond to that challenge, Auburn is committed to producing veterinarians who are knowledgeable and technically proficient in companion animal medicine and surgery.